A 12-month mentoring program for Modern Wisdom Keepers based on ancient principles of sacred commerce and inspired by the power of plant medicine. & The Power of Your Sacred Gifts? Modern Wisdom Keepers are visionaries who earn a living sharing knowledge that heals, nourishes, transforms, connects, inspires, and empowers. 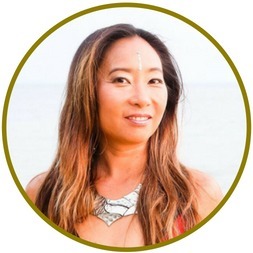 They are visionary leaders, transformational coaches, spiritual counselors, sustainability consultants, therapists, healers, yoga teachers, awakened authors, inspirational speakers, workshop hosts, ceremony facilitators, and more. Lead and create from the heart, with courage, compassion, joy, humility, authenticity and vulnerability. Understand the collective wisdom and power of creating community and tribe, so that we can come together to learn, evolve, and teach each other compassion and unconditional love. Recognize that there are boundless Abundance in the Universe, and that one’s ability to receive abundance in exchange for their sacred service is simply a powerful alignment of energy. Receive with gratitude the guidance of Elders, Teachers, and Spirit -Guides, who have accompanied you throughout Time and Space, in an unbroken lineage of ancient wisdom. Is a humble student of the Great Mystery of Life, whereby every endeavor great or small is another step on a continuous path of evolution, that spans inumerable lifetimes and traverses multiple dimensions. …but have NO IDEA how to reach those who urgently need, deeply value, and – most importantly – are overjoyed to pay you for the transformational gifts you offer? Perhaps you realize that the keys to global success involves attracting your soul-aligned tribe online…. … but you are CONFUSED & OVERWHELMED by all the different marketing strategies that are out there, and just want ONE that works. And you wish deeply for the next evolution of your soul-aligned venture to be birthed in a sacred space, an alchemical cauldron, and school of awakening. Because everything you do in life or business is part of the same Great Mystery School of Life. The call of your Soul’s Purpose growing louder and louder, and the realization you’ve outgrown the role, job, or business you currently have now. That the secret to the Awakened Abundance you crave lies in attracting your Soul Tribe… if you only knew how. The time for giving your Sacred Gifts away for FREE, to people who never step in as paid clients has come to an end. You are Light Years ahead of your local demographic, and for your business to grow, you must reach people outside your locale. You know beyond a doubt what your Sacred Gifts are, and want the most effective way to reach those who urgently need the transformation you offer. You are ready to attract, call, and rally your Soul Tribe towards collective evolution through the beacon of your inspired message. The Time is NOW to make a big impact with your Sacred Vocation… and there is no time to waste. for your unique, soul-powered business. Hi, I’m Lorna, and the fact that the Universe led you here, means there is powerful magic to be made. If you feel overwhelmed, confused, or burnt out, just know that I know what you are going through, because I’ve been there myself. Your soul on fire, and the frustration that comes when nothing you do seems to work. The endless blogging. The lackluster launching. The sales funnels that break and the free sessions that don’t sell. In fact, it wasn’t so long ago that I found myself curled up on the floor in tears, wondering if I’d get this Internet thing right, and whether I’d have to go back to getting a job. And the thought of having to wake up every day to do work that wasn’t a full expression of my Soul Purpose, filled me with existential dread. After numerous breakdowns and many breakthroughs, countless hours and over $100K spent trying to master every aspect of Internet marketing. I was finally able to create an Internet business based on my life purpose, that reaches hundreds of thousands of people through iTunes, YouTube, Facebook, Google, and my email list. More importantly, my business lifestyle design allowed me to do what I love – travel around the world to conscious festivals, sacred ceremonies, and spend extended periods of time in the restricted indigenous territories of the Brazilian Amazon as a guest of the tribes. For this reason, I am passionate about helping visionary leaders inspire a movement by attracting their tribe using proven Internet marketing launch strategies that I’ve personally used to generate $120K from ZERO, in 6-12 months, and $40K in 2.5 weeks this year. And avoid making the exhausting time and money-wasting mistakes I’ve made along the way. During the time of ancient Egypt, the entire Mediterranean basin was dotted with temples, which were as much sacred centers for learning in addition to places of worship. The priests and priestesses who lived and trained in these sacred centers of learning lived at a high vibrational frequency, which allowed them to journey in multidimensional realms and retrieve spiritual knowledge directly from source. These priests and priestesses also specialized in different disciplines. Some were healers, some were scribes, others were oracles. Still others were merchant priests, whose mission was to serve humanity through the gift of commerce. Merchant Priests were responsible for maintaining balance in society, creating a healthy, sustainable economic foundation through trade, which was seen as the exchange of energy. Goods and money were viewed as vessels of energy and a means to engage and connect on a personal level. Merchant Priests placed great value on cultivating empathy and friendly relationships as a key element in commercial activities, and emotional intelligence was seen as the key to prosperity. …and that the secret to unlocking great wealth lies in our ability to manifest our vision, align with greatness, apply steadfast, diligent and inspired action in open surrender to the Divine so that we may receive that which we deeply desire. Like the Merchant Priests of Ancient Egypt, you will receive specialized vocational training, infused clarity of intention and the power of vibration. Learn the most effective strategies for attracting your soul-aligned tribe and discover which tribe-building strategies are the best fit for YOU. Then, embark on a mission to reach your 1000 true fans, people who love what you do so much that they will buy anything you create. Embark on a sacred pilgrimage into the radiant heart of your Soul Purpose, and emerge with the words, images and symbols that reflect your Divine Calling. Know the darkest fears, greatest struggles, and deepest desires of your soul-aligned client so that they are magnetized by your message towards your irresistible offer… and transformational magic unfolds. Webinars are the virtual campfires of the Modern Wisdom Keeper. Inspire your tribe with your hero’s journey and create a sacred connection through your wisdom transmission. Master all the moving parts of creating wealth through webinars… and gain a new super power. By clarifying and aligning your business with your core values, you calibrate your Soul Compass to the resonance of “Full Body Ecstatic Yes!” All endeavors and relationships that are out of resonance fall away, creating crystal clarity around which partnerships create the most profit and joy. Create a lovely lead magnet that entices your ideal clients to take a trip down the funnel into a mystical world that contains the knowledge they seek. Each step of the way, they are offered a new cup of transformation, until they end up at your door, the portal to that which they deeply desire, where they are presented with an invitation to step in and evolve. Design your offer Ascension Plan that takes your soul-aligned client on a journey towards their complete evolution. Package and price your programs in alignment with the level of transformation they offer, so that clients can choose to taste the appetizers, main course, dessert, or savor the entire Sacred Signature Program. Retreats are held in partnerships with experienced facilitators and shamans who carry the gifts of different visionary medicines, in countries where their use is permitted, and even protected. I work only with shamans, facilitators, and centers run by people who I consider to be “Familia”, who I’ve sat with myself, and will continue to sit with, quite possibly, for the rest of my life. The retreat program is a 3-month long intentional journey where we meet online to focus on a specific transformation. The retreat itself is 7-10 days long, in an exotic location in communion with Madre Ayahuasca or Toad Medicine. We will spend the first 6 weeks in preparation for the retreat and spend the following 6 weeks in integration of the experience. * Your tuition includes retreat programming and excursions, but does not include ceremony fees, or accommodation which must be paid directly to the retreat center & facilitator. You are welcome to opt out of participating in sacred ceremony and participate in other group activities. ** Acceptance into the visionary retreat is by application only and contingent upon a medical screening & intake interview. We are advocates for the responsible and respectful use of sacred medicines, not evangelists. For this reason, preference will be given to individuals who have had prior experience. Once accepted, you will have the opportunity to review the retreat package, as well as the terms and conditions, prior to completing your booking. This is an ongoing 12-month business training program that combines live or pre-recorded skill building training with 1-1 mentoring. We are going to delve into the heart and mind of your soulmate client, that karmically connected person who urgently needs the transformation you offer, is so grateful your paths have crossed and is overjoyed to pay you what you are worth. In this intimate 1-1 session, you and I will explore the vision you have for your life and the business model that best supports your dream, so that your work adapts to your chosen lifestyle, and not the other way around. Once a month, we are going to dive into step-by-step training on how to implement a complete marketing strategy from start to finish. In this group QA call, Lorna will answer your questions, review your strategy, marketing copy, sales funnel, and provide any web page the extreme makeover it needs so that you are positioned for optimal success. Guest teachers from Lorna’s extensive network drop in to share their wisdom on a range of topics from communicating with your Spirit Guides up to running profitable Facebook ads. Conscious business interviews, lifestyle business travel videos, and NLP techniques for entrepreneurs can be found in this library of resources for the study and practice of Sacred Commerce. A database of 1000s of experts who are ready to create empowered joint venture partnerships, reviewed by Lorna’s team and ranked by influence. Transmit your awakened message in an irresistible ebook design that attracts your soul-aligned client, solves their pressing problem & warms them up to your offers. The fastest path to establish yourself as an expert in any niche, attract a tribe of thousands and generate 6-figures in sales… all mapped out in detailed guides and videos, step-by-step. If you choose to take Fast Action you will receive ONE of these powerful bonuses! Receive a beautiful WordPress template that you can use for your sacred service business, so that you can get started, rebrand, or launch an auxiliary service. We design for lead generation, so every page is optimized to attract your soulmate clients. * Theme customization isn’t included but can be purchased as an add-on package. Some support will be provided to orient you on how to make your own changes. * All you need to do is give us your marketing copy, graphic design, images, and any download files. Let us deal with the technology! Is Ascension Right For Me? I know one of the hardest things for many intuitive leaders facing a big decision, is how to discern is whether nervousness or jitters comes from your intuition warning you of impending physical danger, or your ego telling you to go no further, because it fears change. I’ve decided to make it easy for you. So if you’ve made it all the way down here, I want to invite you to take a deep breath, center yourself in your heart, and connect to your highest self. You know beyond a doubt you are here to make a lasting positive legacy in the planet, and that this is your key to a life of absolutely no regrets. Sometimes, when you wish for something so deeply, the teacher will come, when you are ready. If you are ready to take a big step on the path to your highest self, you are invited to step into the Ascension Program. Our world leaders are wanting. The Emperor wears no clothes. Humanity is troubled. The Earth is in crisis. You’ll receive one skill building training each month. During each training you will be learning part of a complete online sales system. Once a month, you will receive a 45-minute 1-1 call with me to review your copy, web pages, banners, offers as well as overcome any hurdles to implementing your system. Will I get to work with Lorna directly? Yes! The Ascension Program is the most in-depth way to work with me right now. In addition to 1-1 support, if you qualify for a Fast-Action bonus, you will receive the support of my team in designing, producing, and publishing the templated online sales system you choose. My soulmate client is someone who works with sacred plant medicines for healing and spiritual insight. I regularly work with visionary medicines for guidance and clarity. My unique gift is ability to help people harness the power of visionary states and magnetize their dream life into existence, through a blend of practices that include practical life strategies, intuitive tools, and personal development techniques. One of the experiences I offer is the opportunity to join a visionary retreat package that includes sacred plant medicine work in an exotic overseas location, that incorporates a creative framework to help you channel your most powerful message and life-transforming vision yet. Why is the Ascension program 12-months long? For entrepreneurs who do not yet have an online sales system that attracts at least 1000 opt-ins a month and generates recurring revenue, 12 months is typically how long it takes to learn new strategies, master new skills, and successfully implement the technology. A 12-month container gives you the time to be able to implement 2 launches, grow an email list in the thousands and become fluent in the skills you need to be a successful online business owner. Do you have a shorter program? Yes! I do have a 6-month program for established entrepreneurs who already have clarity on what niche they serve, an existing audience in the thousands, and a history of selling programs, products, and service packages. Sacred Brand Soul Journey is a full service agency package that is ideal for Modern Wisdom Keepers who already have plenty of content to work with, and want to repackage this content into new products, as well as for those seeking to completely re-brand. This program is also for change-making intrapreneurs who want to create a personal brand to position themselves as an industry leader. To qualify for this “Done for You” program, you already need to be generating income through your business, and be willing to invest at least $1000 a month in paid advertising to send traffic to your offer. You also need to have all your digital content and assets ready for my team to take and re-create into stunning eBook designs, and webpages. If this sounds like you, you are invited to apply for a discovery session to see if working together is a fit. If you do not have this content and must create this from scratch, then it is best that you join the Ascension 12-month program instead. What if I don’t have a website yet? Shouldn’t I figure this out first? The strategies you will learn do not depend on whether or not you have an official website for your business. In fact, I am a big believer that an official business website can actually bog you down, and get in the way of you making great money sooner. For this reason, I rely on launch strategies that use different kinds of sales funnels, web pages that you can easily launch and toss, if you decide to create a new offer, or change your niche. So many business owners get blocked by their belief that they need to get an official website “right” first, embarking on a never-ending process of content creation, revision, and perfectionism that drags on for months, even years. When all they really needed to do was create 4 standalone web pages within 1 month and start making sales. Also, if you are fairly new to business, many entrepreneurs go on a niche journey that takes them through different markets (and offers) before finding their true home online. It is much better to leverage the power of sales funnels to explore different niches than offerings, before splurging on a custom website, that you will end up having to rebrand if you decide to change niches down the road. What if I don’t have a business yet, let alone know what to sell? Which comes first, product or audience, is a question that has long been debated by marketers since the dawn of commerce. I’ve spent years creating products and creating audiences, and I am a firm believer that creating an audience FIRST is by far the most efficient way to launch a business. Unless you are a seasoned product marketer, who has done market research using multiple market research tools in order to identify gaps in the market, and already have several launches under your belt, so you know with confidence you can attract customers by running paid ads to your offer…you want to create your audience first. So many creators spend months creating a product that hasn’t even been vetted by a buying market (surveys don’t count, because they tend to be based on responses from non-customers). When the product is all done, they then have to start the process of creating an audience to sell that product to, which delays the prospect of making money even more months. More often than not, they discover that their audience doesn’t even want to buy the product they slaved away to build the months prior, and it’s back to the drawing board. This can be a time-consuming exercise in frustration. When you join Ascension, you will learn the life-changing art of attracting your soul tribe online and launching an offer that is aligned to their deepest desires. An online launch is typically a 3-6 month process, and in the 12-month Ascension program, you will have the space to test 1-2 niches and offers. If you are clear about what service you are offering, then you will receive step-by-step support on the fastest way to launch a 6-figure business serving high-end clients within a 6-12 month time frame. How much time will this take? I’m already so busy with life, family and work. I really want to have my own online business but I’m not sure where I can find the extra time. The time investment to consume the training materials and receive mentoring is roughly about 8 hours a month, or 2 hours a week. I provide very detailed handouts with fill in the blank worksheets for your marketing copy, and How To training videos. However, know that the more time you put into this program, the faster you will see results in your business, and the faster you will start making money. It’s entirely up to you to do only 1 launch during the 12-months we have together, but that means we won’t have time to go through the post-launch money making phase as in depth as we could, and this is where you have the opportunity to make the most money from your launch. I’ve participated in business masterminds where the coaching was very aggressive. The way that I coach is that I believe in giving my client choices along the way. At any major juncture I will share with you at least 2 choices (plus their pros, cons, and consequences to your business) so that you are empowered to make the best choice for you, given your current circumstances. I really want to take this program but I can’t afford it. Do you have a scholarship program? I regret to say that I am not offering any scholarships for my business growth programs. This is because I am a big believer in the power of investing in your own business, as well as mastering any self-limiting money stories that are keeping you from making the money you want. Building a business involves taking risk with capital, and the more you are comfortable with this inevitability, the better an entrepreneur you will be. In Sacred Commerce, money is energy. In order to receive that which you desire, you must be willing to give it FIRST. If you want wonderful soul-aligned high-end clients, you need to be willing to first be a wonderful, soul-aligned high-end client. If you want an online business, that means you by default, also want people to pay you for your services with their credit card. If you want people to pay you by credit card, then you need to be willing to pay others with a credit card first, and overcome any story around “not wanting to be a part of the credit financial system.” This is how it works. There is also absolutely nothing wrong with building up your business as a side hustle while you work a day job, and save a portion of your salary to invest in your business every month. I did this the entire 7 years I worked a corporate job. This meant I often worked 60-80 hours a week as I built up my consultancy. Now I have a life of freedom, where I run my business from anywhere in the world, take longer vacations than 2 weeks, and drop into many wonderful soul-aligned communities in beautiful parts of the world to connect with tribe and collaborate on shifting collective consciousness. I was also able to qualify for a residency visa to move to the most perfect place in the world for me, Ibiza, Spain. This dream didn’t happen for me overnight, it was a result of daily, focused intention and visualization, coupled with massive, consistent actions following strategies that work, along with massively investing in my business education. Building a 6-figure purpose-driven business isn’t easy, but it is priceless. And with the right support, it doesn’t have to be painful. For me, the most painful time periods where when I did not have the support of a mentor to guide me through proven business strategies, and I wore myself out and drained my bank account following incomplete marketing tactics that felt like I was throwing spaghetti at a wall. My breakthrough movement occurred when I invested in my first high-end mentor in a 1-1 mentorship program, made back 5 times my investment, and eventually superseded my last 6-figure corporate salary. What was even more valuable was the confidence I acquired in the process in my own abilities. The fear and anxiety I used to feel before making big, important money decisions is gone. The devastation I used to feel around business setbacks dissipated. I have become more and more adept at solving bigger and more complicated problems. If you really want this, and are ready to see what you are made of, hop on a call with me. We will map out the freedom timeline to your return on investment, so you will have clarity over exactly what you need to do in order to start generating great profits within 1 year. When I think about stepping into your program, I feel fear and anxiety over making such a commitment. How can I overcome this? Many intuitive entrepreneurs have a hard time determining if feelings of discomfort are warning signs from their intuition that physical danger is imminent. Here are some questions to ask your higher self. Why do I feel this fear, when I know beyond a doubt that this is what I am meant to do and I want this so much? Is it my ego not wanting to things to change, or is it my intuition warning me of danger. If I show up, do the work, and implement a proven plan, with the support of an experienced mentor who has the business and lifestyle I want, what else is there to be afraid of? If you need support, you can apply for a consultation with me so we can unpack these feelings and get you on a plan you feel good about. I’ve purchased so many online courses and programs that didn’t give me any results. How do I know this won’t be the same? Trust me, I know exactly what you mean. I’ve taken so many 5-week, 8-week, 12-week business courses that focused on ONE piece of the puzzle, and not the entire, end-to-end, sales system. And after diligently studying and completing these courses, I still didn’t make any money – because short courses were only one part of a much bigger system that I needed to (but didn’t) have in place. When I looked back at all these little courses, I discovered that I spent far more money on them in total, than the 1-year mastermind I invested in, that got me a 5x ROI. I personally believe that little online courses have value, but only for people who already have income-generating online businesses. An 8-week How to Make Money with Webinars course will not solve the problem of an business owner or aspiring entrepreneur who wants to make money online who has no email list of knowledge of how to drive online traffic, but could easily add $100K to the pocket of someone who already has a list of 10,000 subscribers. This is why this program is set up to be a 1-year program designed to help you implement a complete sales system from end-to-end, and work through any frustrations and challenges that can come up when you are learning and doing something for the first time. I’m very clear about what it’s like to work with me. I’m also very specific about who I work with. It’s in my best interest to help you see results because I want happy clients. If you’re feeling the call, jump on the phone with me and let’s see if it’s a match. I totally want to make sure this program is right for you too, which is why I have an application form prior to booking a consultation call, to determine if working together is a fit. I only have room in my calendar to provide the highest level of mentorship to 10 highly motivated, GSD entrepreneurs who are willing to step into the fire and become the Light Leader they are meant to be. I am selective about who I work with and I only take on clients who are ready to step up in a big way in the next 12 months that I know I can help. During our discovery session, it will be very clear if this is the path for you. If you’re not sure, you are invited to apply for a discovery session with me and let’s explore this together. I can't do this right now, will you be offering this program again? Much like a university or college, I have specific and finite student enrollment periods. I only do program enrollments after launches, and once my programs are filled, I focus on being 100% present to support my clients in the best way possible. I also offer different programs after online launches, so I cannot say for sure if this will be the program I offer after a new launch. I also cannot say when I will do my next launch because Spirit also calls me to work on other types of projects, in other parts of the world, so it could even be a couple of years that go by before my next launch. Also, as my business and audience grows, my available time decreases and the value of my time increases. So my programs increase in price year after year, launch after launch. This also might be your only chance to work with me 1-on-1. So if you’re hearing the call, it’s time to apply for a discovery session right now, and explore whether I can help you manifest the big vision you have for your sacred business. Aho!